3. 3rd generation, 3+ NPPs which India would be importing have four independent, redundant, diverse safety trains provided, each train capable of providing 100% safety. It is just like providing a car with four independent and redundant brake systems. 4. Results indicate that due to the operation of our 20 NPPs, Public get less than 1% addition to the existing natural background of radiation i.e. if natural background is 200 units, NPP will add two units of radiation i.e. public will be exposed to 202 units of radiation. It is also less than 5% of AERB limits, which are comparable to international safety limits. 5. Nuclear Reactors imported/importing are "untested".All reactors, including 700 MW PHWRs and 500 MW PFBR in India and many in China, are untested but the important consideration is that all reactors currently available in the international market are evolution from respective tested cousins. if one wants higher levels of safety/security you have to go for untested NPPs. The alternative is to go for proven NPPs with lower levels of safety. 6. 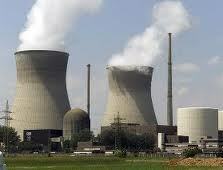 Indian NPPs can withstand earthquakes.Most of the areas in India are in some seismic Zone or other (Zone 2 to 5). NPPs will not located in Zones 4&5.Present Indian NPPs go through elaborate review process with respect to them being capable of withstanding natural disasters including extreme meteorological conditions. These include Seismic, flooding (Both due to heavy rain or upstream dam burst and downstream dam not damaged), TSUNAMI, extreme high velocity winds etc. All safety equipment are located above maximum flood level or Tsunami levels taken from historical data and probabilistic approach. 7. Why Nuclear and the need for choosing the best possible option for India? The debate on whether to have Nuclear Power for India or not is going on for the last thirty years. With twenty Nuclear Power Plants operating and Six under construction, it is too late to ask this question. Constructive criticism and debate should now be on what additional safety and commercial upgradation should be done to further enhance the safety, security, reliability, viability and acceptability of the NPPs, what type of Nuclear Power Plants should be built, what are specific needs of our culture and for our country, which technology, in addition to Pressurized Heavy Water Reactors and Fast Breeders, should India absorb for domestic use and tap huge export potential, what additional steps should be taken to speed up putting Thorium usage into commercial domain and further accelerated Dr. Bhabha’s three stage program, road map to make India an important global nuclear player similar to IT now etc. For balanced energy mix, energy independence and security, climate change and avoiding green house gases, sustainable development, tapping 25% of World Thorium being in India capable of producing three lakh Mega Watts for three hundred years and the huge potential of India being a major global Nuclear Player in a decade (like IT, auto industries etc now) and many other reasons, Nuclear is inevitable for India.